The new blockbuster movie season is almost upon us, so I’m going to take this opportunity to name and talk about my favorite top 15 monster movies over the past 100 years at the movies. Now, in the cases of series, or numerous remakes of the same monster, I’ve taken the liberty of just listing it once on the list with my favorite movie in that series and that film in essence, represents the monster. If you haven’t seen any of the movies I have listed below, you can check out the trailers online. If one doesn’t load, look into something like hd-trailers alternative, which will give you options of watching the movies/trailers elsewhere in better quality. Also, if I felt that it was more of a horror film instead of a monster movie, because most can be both, I didn’t mention it on this list, although it could be one of my all time favorite movies. The Thing comes to mind, I love that movie, but I consider it to be a horror film way more than it is a monster movie, so I didn’t include it on the list. A good way of thinking of this is if they could fall under the Universal Studios monsters group of movies. They concentrate on adventure over horror. The best monster movies aren’t that scary at all, but truly fun and thrilling, although most will have some scary moments or moments that make you jump out of your skin. This was a very under-rated movie and one that seemed to get no marketing when it was released but actually was a rather good movie. My favorite so far of all the different Frankenstein movies that are out there. A big reason is Aaron Eckert, who plays the Frankenstein monster in this one. He’s great. 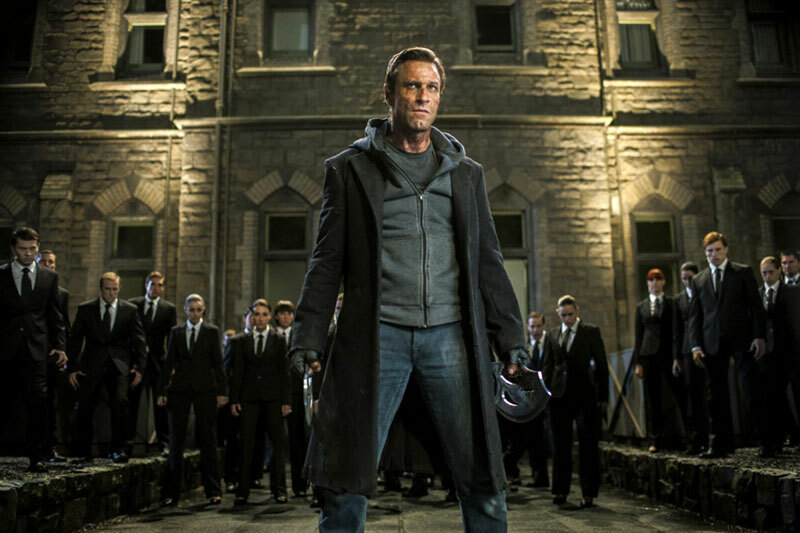 It’s interesting to note, that in the original screenplay, “I, Frankenstein” and its hypothetical sequels were to take place in the same universe as the “Underworld” series (placed #14 on my list) which is from the same producers and shares actors Bill Nighy and Kevin Grevioux. 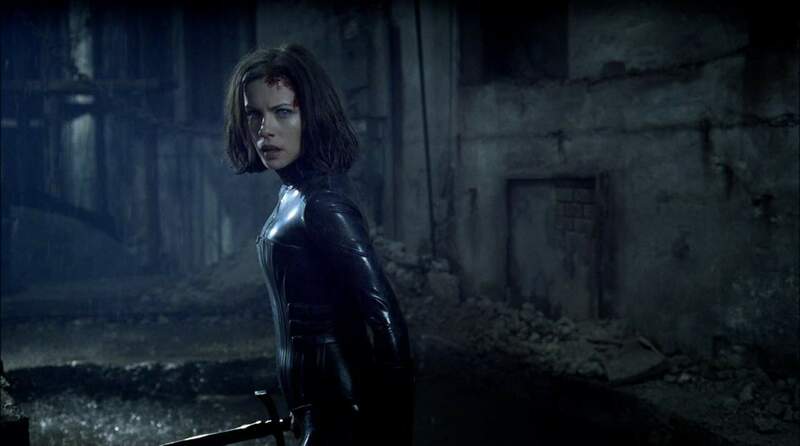 Kate Beckinsale was rumored to be making a cameo as Selene. Ultimately none of these ideas were used. Since the movie didn’t make much money, it’s unlikely that any sequels will be made, making the matter moot, but boy this could have been cool. Would have to go with the first one in the series as the best one. I don’t think that’s always the case. Kate Beckinsale is the reason this series is worth watching. It’s also fun to see Vampires and Werewolves going full on war. The movie was initially pitched as “Romeo and Juliet for vampires and werewolves”. It’s interesting to see the prequel and sequels of the series, also to see how things began and finish. They have gone back and changed the original, however, as for the 2017 4K High Definition remaster of Underworld, the scene where Michael sees flashbacks into Lucian’s past/Sonya’s death was actually replaced with the 2009 scenes in Rise of the Lycans instead of the 2003 flashbacks. Another version that didn’t seem to do well, or wasn’t marketed properly, but that I found to be much superior than any of it’s previous movies based on Dracula. Luke Evans plays Dracula in this version, and he’s very intense. 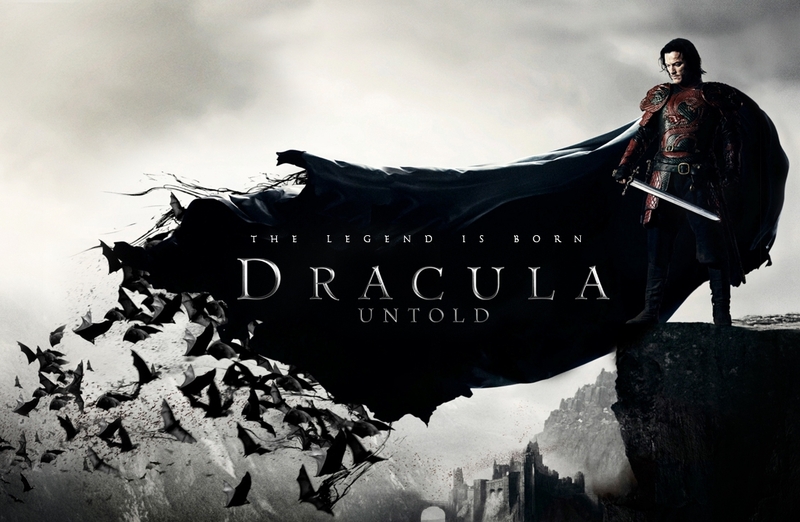 Dracula Untold was in production before Universal decided to build a cinematic universe. The producers caught wind of it just in time to independently add a present-day epilogue that Universal could use if they wanted to, but it was ultimately decided that Dracula Untold would not be the first entry in the Universal Monsters Cinematic Universe. That first film of the Universal Monsters Cinematic Universe is the new The Mummy film coming out in 2017, which features Tom Cruise in the starring role and also Russell Crowe as Dr. Henry Jekyll to set up his stand alone film for the new Jekyll and Hyde remake. It’s pretty obvious by now that 2014 was a pretty good year for monster movies, you just may not have known it. It’s mainly because now technology has made it a lot easier to do special effects than ever before. The technology has finally caught up with the creative in this area. 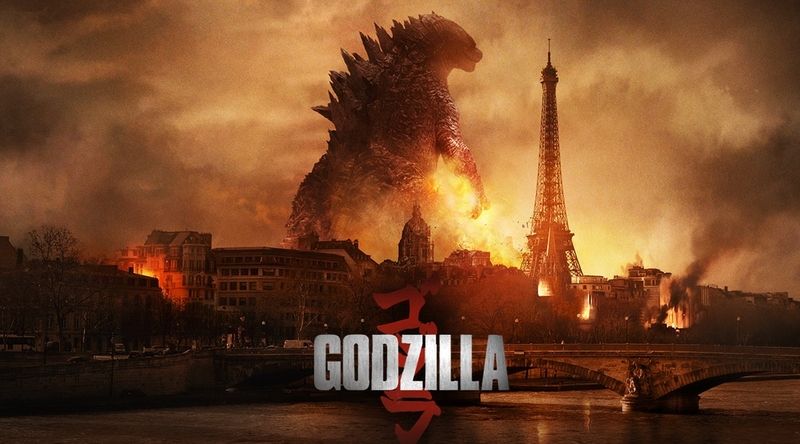 This is the latest Godzilla movie to come around and I like it because after the film gets rolling, Godzilla becomes somewhat of a hero in the film rather than the creature out to destroy everything that he was presented as at times. It’s also the first in a new set of films set in the same “universe”, the 2nd being Kong: Skull Island that just came out, the 3rd being Godzilla: King of Monsters set to be released in 2019 and the last being King Kong vs. Godzilla in 2020. On this film, according to Bryan Cranston, Gareth Edwards was inspired by the shark film Jaws (1975). “The film does not immediately show the beast, but rather build up to its appearance while still delivering an eerie and terrifying off-screen presence.” In homage to Jaws, the main protagonists have the name of Brody, after that film’s protagonist. The sharks in this film do have a tendency to grow and shrink in size depending on where they are in the film, but if you can turn your brain off of that fact, this is a pretty cool movie. Renny Harlin directed it and he has said that it was the hardest film he’s ever made. Samuel L. Jackson happily signed on for the film, as he had enjoyed his experience working with Renny Harlin on The Long Kiss Goodnight (1996). 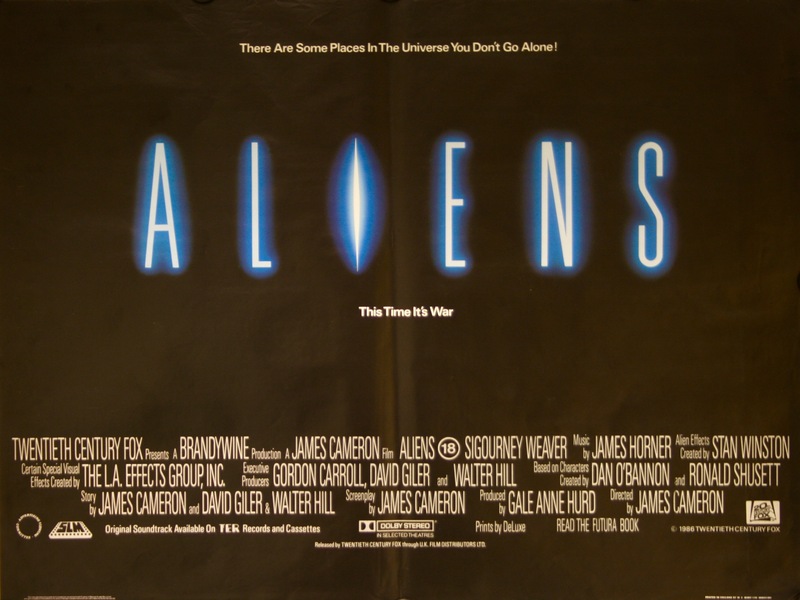 Renny Harlin admitted that the idea of abruptly killing off Samuel L. Jackson’s character at two-thirds of the movie was borrowed from the similar fate of Tom Skerritt in Alien (1979). Both men were the natural leaders of their respective groups, leaving the remaining survivors in utter despair, and both were the best-known actor in the cast at the time, thereby making their premature demise extra shocking and unexpected. The impact of Jackson’s sudden death scene was intensified by making his preceding speech somewhat long and corny. After watching the scene with an audience for the first time, and hearing them scream in horror and fear, Harlin said that this scene paid off for the entire movie. Just a side-note, the three sharks in this movie are killed in the same ways as the three sharks in Jaws (1975), Jaws 2 (1978), and Jaws 3-D (1983): blown up, electrocuted, and incinerated respectively. Now this film is the best in a series of films that are about creatures from the ocean like Leviathan, Virus, Deep Star Six and The Rift. This is actually a really great film, but no-one seems to know about it. Probably because of the lower budget. Originally, Harrison Ford turned down the role of Finnegan. The production’s budget was then downsized. Stephen Sommers, the writer-director, would become known for his monster movies, and this is one of his best. He would go on to direct The Mummy, Van Helsing and The Mummy Returns. Stephen began writing this script, then called “Tentacle”, when he worked at Hollywood Pictures in the mid-90s. Go out a rent this movie, it’s a blast. Another film that nobody knows about. Seemed to go straight to video, but it’s a great movie. This one has a very strange pedigree as it was written by David E. Kelly famous for Law Firm TV Shows like Ally McBeal, Boston Legal, LA Law, Picket Fences and The Practice! Then it was directed by Steve Miner, famous for giving us the real Friday the 13th killer Jason Voorhees in Friday the 13th Part 2 and Friday the 13th part 3, as the first movie’s killer was his mother, Mrs Voorhees! This movie is funny but has plenty of scares to go around. 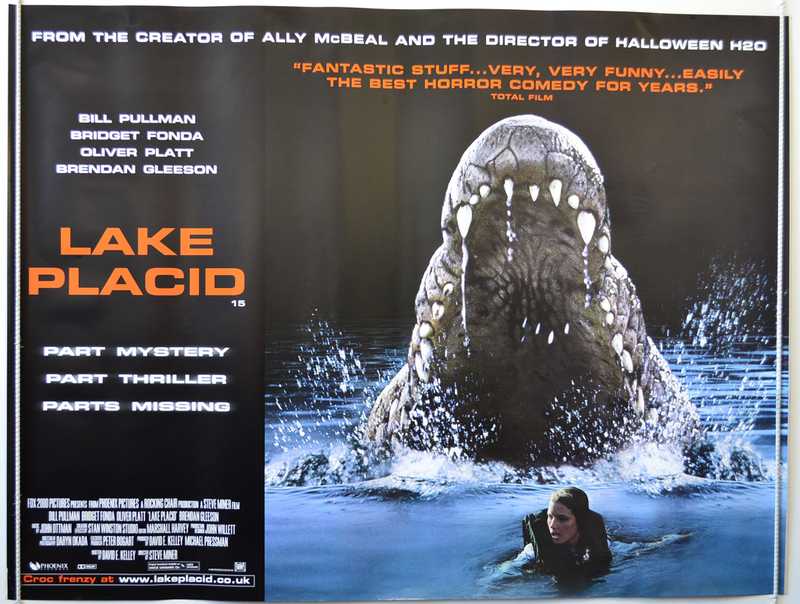 It’s about a giant crocodile living in Lake Placid. The size of the crocodile in the movie is actually much larger than anything ever recorded in real life. The current largest crocodile in captivity (Guinness book of records, 2015) is 5.48 metres (about 18 ft), and although there are (unverified) reports of sightings over 20 feet in length, nothing is as large as the 30ft quoted in the movie. Now, for some reason a running theme in monster movies is the use of science to explain how a monster has been created or come about. This one has the best use of science (except for movie #2) to help build the tension for any of the monster movies. In a 1987 interview on Sinister Image (1987) Vincent Price revealed that when this remake was released, star Jeff Goldblum wrote him a letter saying, “I hope you like it as much as I liked yours.” Price was touched by the letter, he composed a reply and went to see the film, which he described as “wonderful right up to a certain point… it went a little too far.” David Cronenberg met with some opposition when he announced that he wanted to cast Jeff Goldblum in the lead role. The executive at Fox who was supervising the project felt that Goldblum was not a bankable star, and Chris Walas (Make-up) felt that his face would be difficult to work with for the make-up effects. Both, however, deferred to Cronenberg’s judgment. Cronenberg himself later had reservations when Goldblum suggested Geena Davis, his girlfriend at the time, for the other lead role, as he did not want to have to work with a real-life couple. Cronenberg was convinced after Davis’s first reading that she was right for the role. Producer Stuart Cornfeld suggested that they audition more actresses saying that it’s the “script that is brilliant”. Cornfeld relented after “nobody else even came close”. 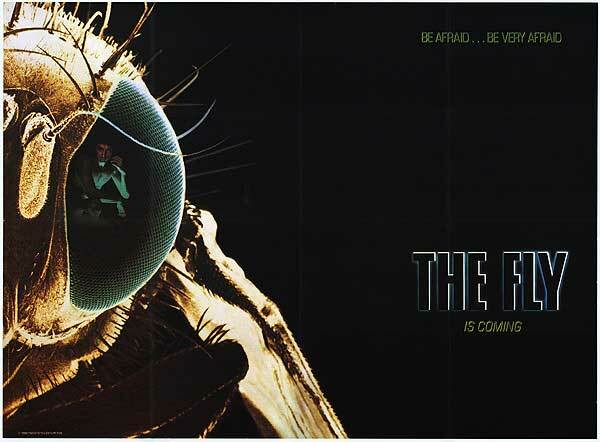 The famous tagline, “Be afraid, be very afraid!”, originated in this film as dialogue spoken by Geena Davis. If you’ve ever watched Dune and thought the best thing about it was the sand worms then this movie is for you. Writer S.S. Wilson said that he got the idea for the film while he was working for the US Navy in the California desert. While resting on a rock, he imagined what it might be like if something underground kept him from getting off the rock. Tremors was the first film directed by Ron Underwood, who would go on to direct City Slickers, Speechless, Mighty Joe Young, Heart and Souls, and tons of TV Shows. Written by the amazing Chris Columbus and directed by Joe Dante, this was my favorite film from 1984, at the time, although since then Terminator, Indiana Jones and the Temple of Doom, Dreamscape, The Last Starfighter, Romancing the Stone, The Philadelphia Experiment, Top Secret!, All of Me, Runaway, Ghostbusters, and Beverly Hills Cop have since topped that movie in that year, for me. 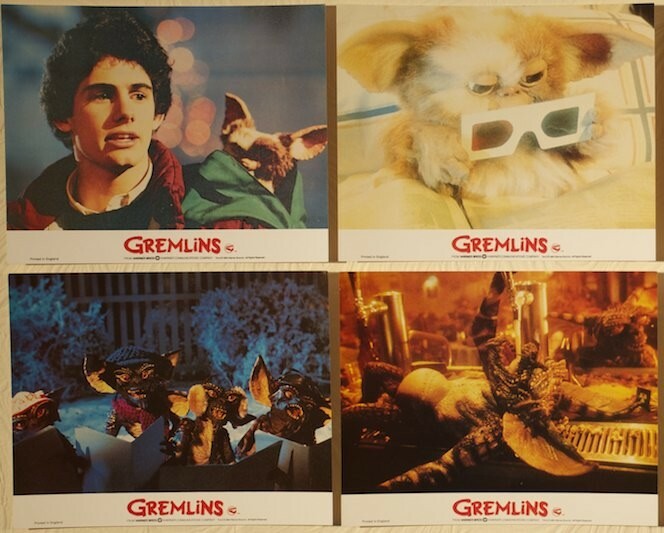 But at 14 years old, Gremlins was my favorite. But now that I look back, that may have been one of the most incredible years for films…I mean, wow, what a list of films all released in the same year. The set for Kingston Falls, the location this movie is set in, is the same one used for Back to the Future (1985). Both movies were filmed in the Universal Studios backlot, and you could see the set for many years afterward if you went on the Universal Studios Tram Tour. Steven Spielberg had a great working relationship with Chris Columbus on this film, and he produced the next two films Columbus scripted–The Goonies (1985), based on an idea Spielberg had, and Young Sherlock Holmes (1985), which was Columbus’ idea. Altogether, three years was spent working on those three films. Now the new film, Kong: Skull Island is pretty fun stuff, but the original is just too iconic not be on the list. It is effectively the model for almost all of the monster movies that have followed since. The other King Kong movies are pretty great too, but the original is just one of those films, especially at the time, that people’s jaws just dropped and everyone went…wow. It’s amazing, back then and today. 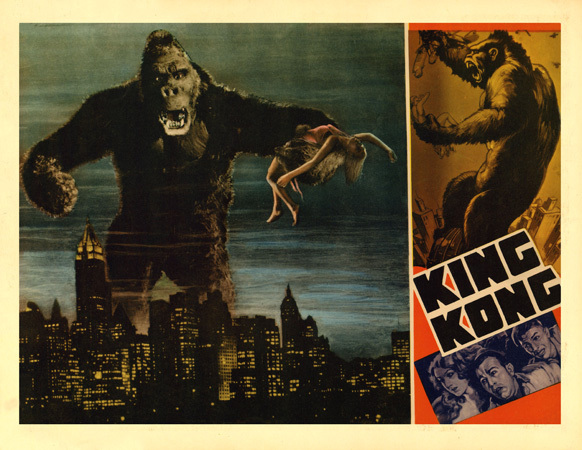 The project went through numerous title changes during production, including “The Beast” (original title of draft by Edgar Wallace in RKO files), “The Eighth Wonder”, “The Ape”, “King Ape” and “Kong”. Art drawn for the press book for the original release of the film was contributed by Keye Luke, who was a highly regarded illustrator before he became an actor and whose works have appeared in films themselves, such as The Shanghai Gesture (1941), and who acted in such classic films as the number 1 son of Charlie Chan in a slew of films and as the old Chinese shop owner in our #5 film, Gremlins. Great remake, much better than the original, even though I love Boris Karloff. 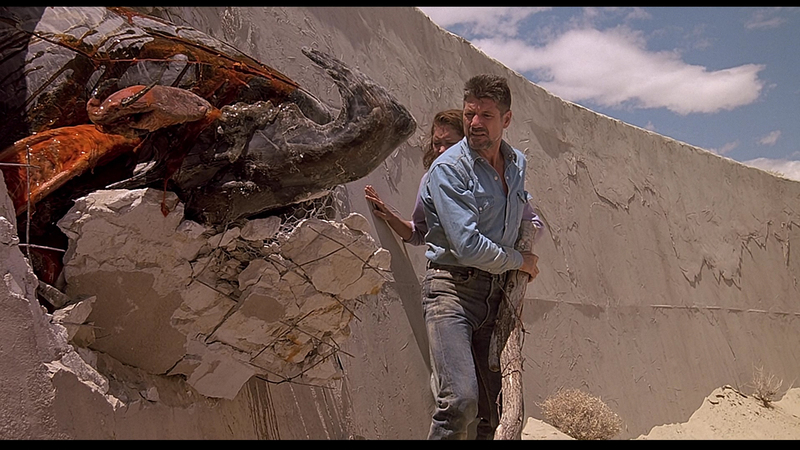 The remake is a great mix of monster movie and adventure movie…just brilliant. It was originally planned to open the film with the old black and white Universal logo that had been used at the beginning of The Mummy (1932) which would dissolve into the blazing desert sun. 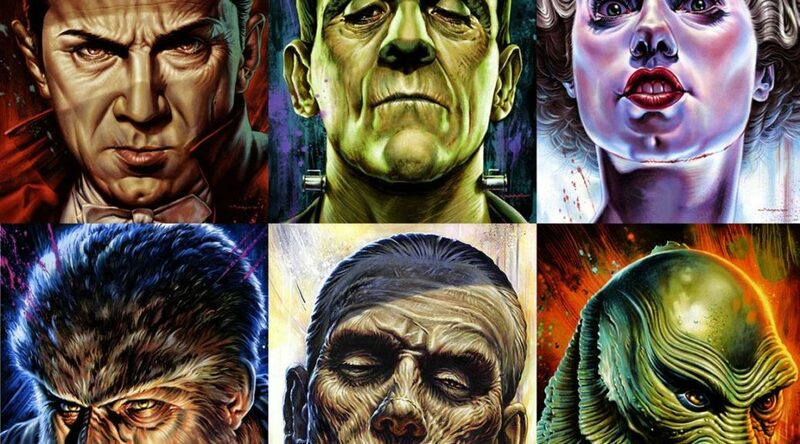 Would have given a really cool connection to the old style Universal monster movies. Brendan Fraser was cast due to the success of George of the Jungle (1997). Stephen Sommers also commented that he felt Fraser fit the Errol Flynn swashbuckling character he had envisioned perfectly. The actor understood that his character “doesn’t take himself too seriously, otherwise the audience can’t go on that journey with him”. Before Brendan Fraser, the role of Rick’ O’Connel was offered to Sylvester Stallone. That would have been a very different film. I’m glad that Stephen Sommers stuck to his vision of the film. Stephen Sommers described his vision of the film as “as a kind of Indiana Jones or Jason and the Argonauts (1963) with the mummy as the creature giving the hero a hard time”. This one almost didn’t make my list as it literally scared me half to death when I first saw it. 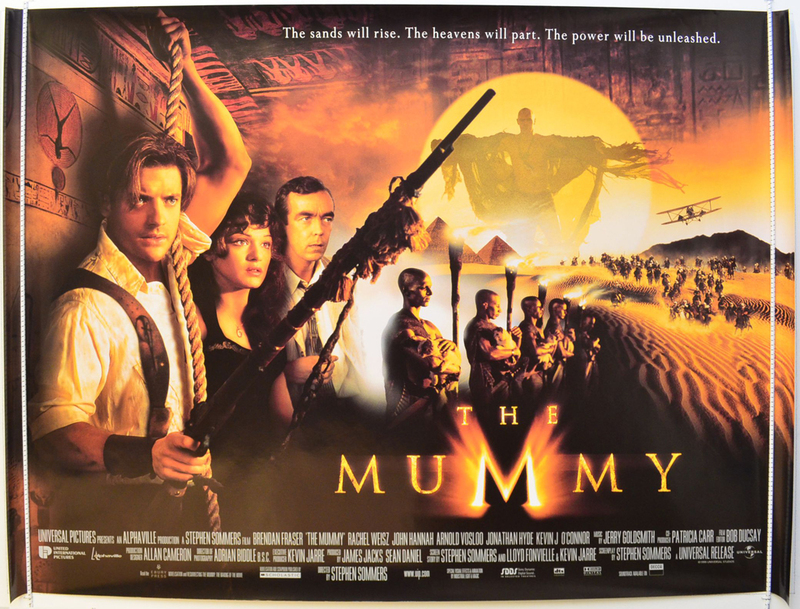 It’s hard not to think of it as a horror film, but what James Cameron brought to this franchise is so good and so ground-breaking that it literally transcends many genres. Sigourney Weaver had initially been very hesitant to reprise her role as Ripley, especially because Cameron had cut the scene where Burke had brought Ripley the news of just missing the death of her character’s daughter (which Weaver felt would have completed the circle of the mother-daughter bond with Newt) she had rejected numerous offers from Fox Studios to do any sequels, fearing that her character would be poorly written, and a sub-par sequel could hurt the legacy of Alien (1979). However, she was so impressed by the high quality of James Cameron’s script – specifically, the strong focus on Ripley, the mother-daughter bond between her character and Newt, and the incredible precision with which Cameron wrote her character, that she finally agreed to do the film. Harrison Ford was offered and turned down the role of Dr. Alan Grant, as he felt that the part just wasn’t right for him. After seeing the film, he says that he had made the right decision. James Cameron has stated that he wanted to make the film, but the rights were bought “a few hours” before he could interview with Crichton. 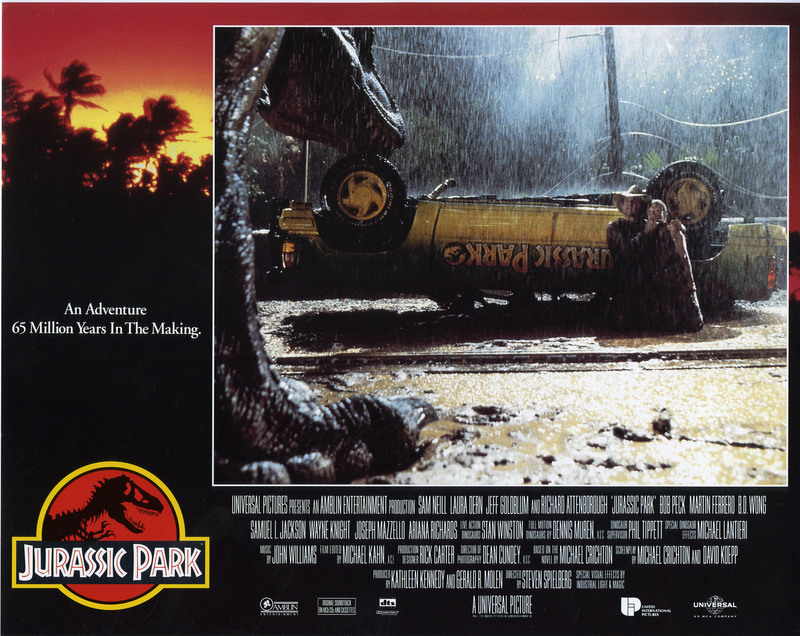 Upon seeing Jurassic Park, Cameron realized that Spielberg was the better choice to direct it as his version would’ve been much more violent (“Aliens (1986) with dinosaurs”) which “wouldn’t have been fair” to children, who relate to dinosaurs. 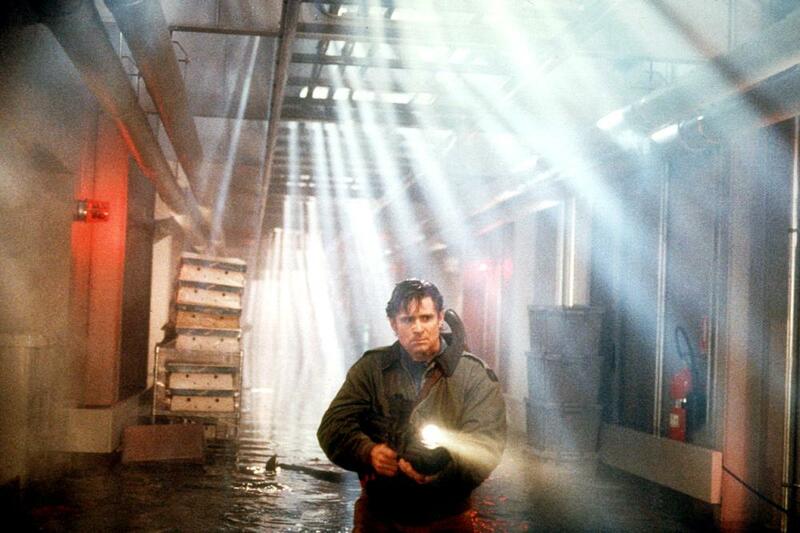 The special effects were directly influenced by Cameron’s Terminator 2: Judgment Day (1991). Originally, Michael Crichton’s agents circulated the book to six studios and directors. Warner Brothers wanted it for Tim Burton to direct, while Columbia Pictures was planning it for Richard Donner. 20th Century Fox was also interested, and was intending the project for Joe Dante, while Universal Pictures wanted Steven Spielberg to direct. Crichton was reluctant to submit to a bidding war. He instructed his agents to put a set price on the film rights and he could decide who was more likely to actually get the film made. After interviewing all the prospective directors, he agreed to sell the rights to Universal and Steven Spielberg, who was already his first choice. Kind of fitting to me to have a Universal Studios film as my number 1 monster movie of all time, but probably not the one people would instantly think of as a Universal monster movie…Jaws. It is, although one of the few that was a highlight on the Universal Studios Tram Tour, but not the reason why it’s number one on my list. It’s just a fantastic movie. Is it iconic that Steven Spielberg directed both of the top two films? It’s also interesting that each of these films were based on books, bought before the books were released into stores. Peter Benchley’s novel was first discovered in galley form at early 1973 by then Cosmopolitan Magazine editor and producer David Brown’s wife Helen Gurley Brown who was to be excerpting part of the novel to be published in an upcoming issue. Brown saw it by accident, having read it then a few days brought it to the attention of his partner Richard D. Zanuck, subsequently obtaining the rights to the book at the end of the year. Director Steven Spielberg said that when he first read the novel, he found himself rooting for the shark because the human characters were so unlikeable. There was a lot of sub plots in the book that was cut from the screenplay and even Peter Benchley eventually liked how cutting the subplots from the novel allowed for the characters to be fleshed out properly. Steven wanted the movie to be different. Because the film the director envisioned was so dissimilar to Peter Benchley’s novel, Steven Spielberg asked Richard Dreyfuss not to read it. 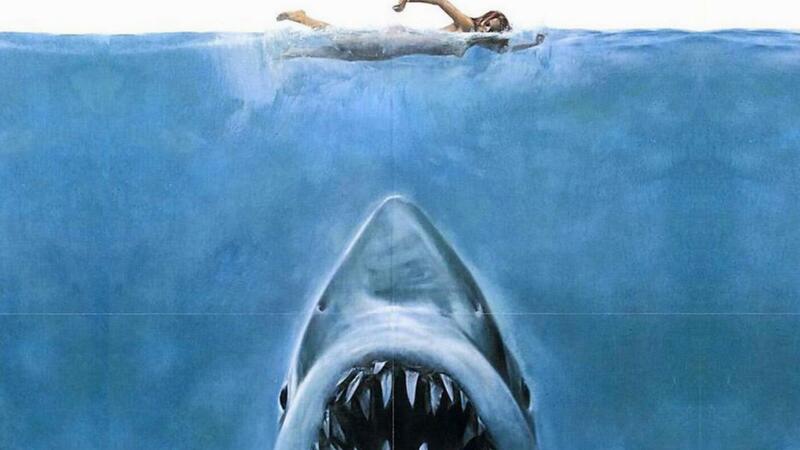 Steven Spielberg always considered Jurassic Park a sequel to Jaws, but on land. People saw differences though, where the latter focused on character development as much as on its creature, while the former only used the dinosaurs to sell the film, and not the characters. As far as monsters go, the shark in Jaws is pretty scary, as it has kept whole generations from going into the ocean for decades. 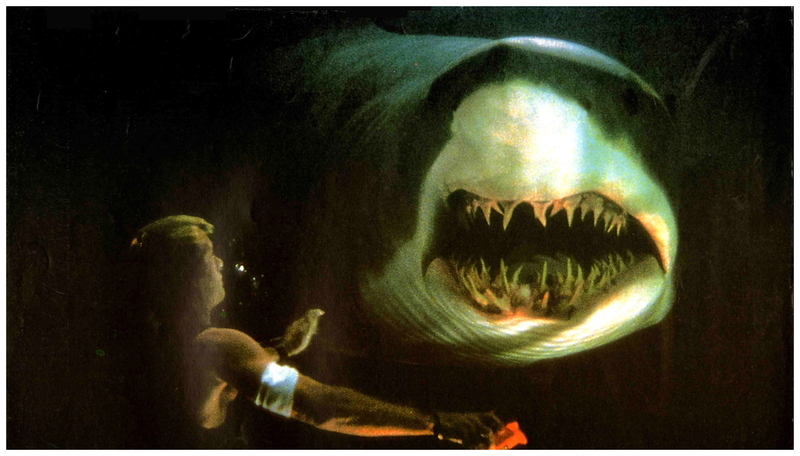 The shark was ranked the eighteenth greatest villain on the AFI’s list of 100 Heroes and Villains.